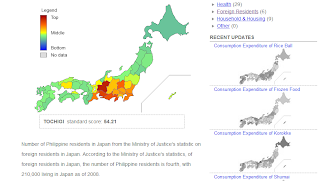 Whether you want to know where all the poorest people congregate, or where the most whiskey in Japan is being consumed, I have the site for you! Stats Japan has it all. 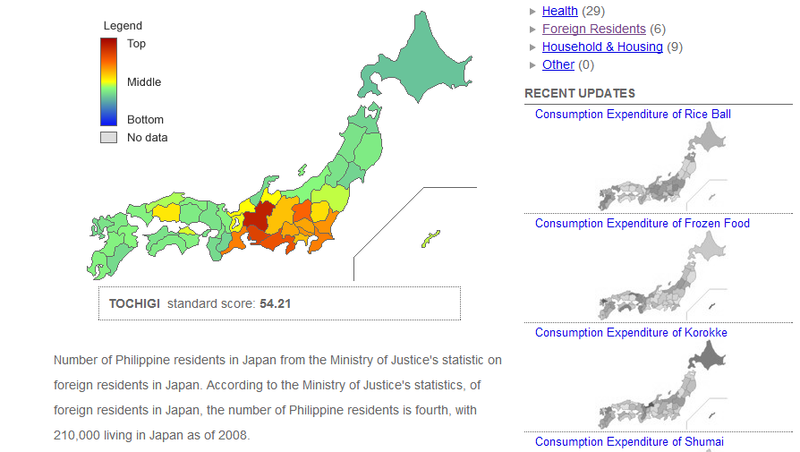 I've wasted far too much time checking who has the most HIV (Tokyo, then Ibaraki) and where people get murdered most (Osaka, followed by Okinawa), only to end up several hours later seeing who makes the most spinach (Miyazaki). In all seriousness, as a sociology graduate, as well as Japanese resident, it's been interesting to learn about the social makeup etc of the country, not only who drinks the most wine (Yamanashi). The insight is fascinating. Highest rate of shotgun wedding? Okinawa. Lowest average age of first-time mothers? 28.5, Fukushima. Average age to get married in Japan? 30.5.